The Ninja Games are the competitive pillar of Ninja Sport where Ninjas can test their skills and showcase their hard work! The Ninja Games are available for Lil' Ninjas, White, Yellow, Green, Blue and Purple level Ninjas. Our Ninjas will be competing against each other, but more importantly, against themselves! We look forward to having your child participate in Ninja Games at Blaze Ninja/Blaze Gymnastics on Sunday, June 9th! Registration open from April1st-May1st or until full Registration is $50 Uniform Fee is $35 (includes Ninja Games Shirt, drawstring bag and tattoo) If you have a shirt from a prior Ninja Games only the registration fee is due. ASSUMPTION OF RISKS/WAIVER OF LIABILITY: As the legal guardian of the above mentioned person(s), I am fully aware of the potential dangers, including permanent paralysis or death, which can occur in any sport or activity involving â€œheight or motionâ€�. I am fully aware that these â€œheight or motionâ€� activities are inherent to the programs of BLAZE GYMNASTICS OF SYRACUSE, LLC, and BLAZE NINJA, LLC and I voluntarily ACCEPT ALL RISKS and give my consent for my child(ren) to participate. I further recognize that the above mentioned person(s) is/are qualified, in good health, and in proper physical condition to participate in any and all programs offered by BLAZE GYMNASTICS OF SYRACUSE, LLC and BLAZE NINJA, LLC. These programs include, but are not limited to, gymnastics, tumbling, trampolines, inflatables, and cheerleading. In consideration for allowing my child(ren) to participate in the above mentioned programs/activities, I, on the behalf of myself, my child(ren), our respective heirs, administrators, executors, and successors, hereby RELEASE, DISCHARGE, COVENANT NOT TO SUE and AGREE TO INDEMNIFY, SAVE AND HOLD HARMLESS BLAZE GYMNASTICS OF SYRACUSE, LLC and BLAZE NINJA, LLC, its owners, officers, directors, employees or other representatives, whether paid or volunteer, from all liability, claims, demands, losses or damages suffered by my child(ren) while under, the care, instruction or supervision of BLAZE GYMNASTICS OF SYRACUSE, LLC and BLAZE NINJA, LLC. I am fully aware that it is my responsibility to warn the above mentioned person(s) of the potential dangers inherent to the programs offered by BLAZE GYMNASTICS OF SYRACUSE, LLC and BLAZE NINJA, LLC, and will do so according to my level of concern. If, at any time, I believe activity conditions are unsafe, I will immediately instruct my child(ren) to discontinue participation in the activity. PERMISSION TO TREAT: I acknowledge that BLAZE GYMNASTICS OF SYRACUSE, LLC and BLAZE NINJA, LLC, staff members are not physicians or medical practitioners. 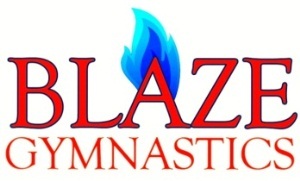 I grant permission to BLAZE GYMNASTICS OF SYRACUSE, LLC and BLAZE NINJA, LLC, staff members to provide temporary first aid in the event of injury or illness, and if deemed necessary to seek medical help including coverage while enrolled at BLAZE GYMNASTICS OF SYRACUSE, LLC and BLAZE NINJA, LLC. I agree to provide for all medical expenses incurred by my child as a result of any injury sustained while participating at BLAZE GYMNASTICS OF SYRACUSE, LLC and BLAZE NINJA, LLC. PERMISSION TO USE PHOTOS: I grant permission to BLAZE GYMNASTICS OF SYRACUSE, LLC and BLAZE NINJA, LLC, to use photographs and videos of my child for use in print or broadcast media as deemed appropriate for the promotion of BLAZE GYMNASTICS OF SYRACUSE, LLC and BLAZE NINJA, LLC.